I make no secret that I love Montblanc Inks. In fact, I think they’re some of the best all-around inks out there. Why? Because the company makes a well-behaved, “safe” fountain pen ink that comes in unique, interesting colors. Though the craze has cooled a bit lately, Montblanc attracts a lot of attention for their annual special edition inks, many of which correspond to a special or limited edition pen. While I don’t have the coin to collect all of the various pens, I do tend to pick up the special edition inks. The past few have been superb, and include some of my favorites since the release of the legendary Alfred Hitchcock limited edition ink in 2012. Antoine de Saint-Exupery is my personal favorite of the three inks reviewed here. It’s a rich burgundy, with more depth of color than the standard Montblanc Burgundy or the now-discontinued Bordeaux. There’s even a rollerball version of the Saint-Exupery, though the color is much more gray/brown than the fountain pen ink, which has purple undertones. Review Pen: Conway Stewart 100 in Honey Noire, courtesy of Vanness Pens. The rollerball refill compared against the fountain pen ink (which I prefer). 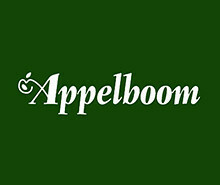 Review pen: Montblanc Le Petit Prince Classique Rollerball, courtesy of Appelboom. Another riff on one of Montblanc's standard ink colors, the Beatles "Great Characters" ink is a bright rich purple that has a some “psychedelic” pop. If the limited and special edition Beatles pens are too out there for you, consider the ink. It's tame enough to use at work, but just loud enough to be interesting. Review Pen: Montblanc for UNICEF Doue Classique, courtesy of Appelboom. I reviewed this ink last year alongside the Montblanc for UNICEF Solitaire Doue Classique fountain pen, and while turquoise will never rival burgundy as my favorite color, this vibrant blue remains one of my favorite Montblanc inks overall. UNICEF Blue is still available, but it's unclear how long Montblanc will continue with the UNICEF lineup. Review Pen: Faggionato Petrarque in Blue Tortoise, available at Papier Plume. Montblanc’s standard lineup of inks is priced at $23.50 USD for 60ml of ink, representing good value, especially in today’s market with rising ink prices. The special edition inks are pricier, at $43 USD for the larger 50ml bottle and $20.50 USD for 30ml. All three of the special edition inks featured here in this review come in the larger 50ml bottle, and are still available from most Montblanc retailers, including Anderson Pens, Appelboom, Pen Boutique, and Goldspot. Montblanc also releases rollerball versions of the special edition colors, but not all retailers stock them. 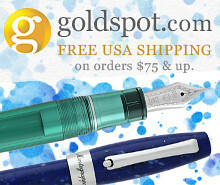 Goldspot and Pen Boutique carry some, and if I come across these refills on Amazon I typically add them to my affiliate storefront (link at the top of the sidebar). Disclaimer: With the exception of the UNICEF ink, which was supplied by site sponsor Appelboom, I purchased the inks featured in this review with my own funds, for my own collection. This post contains affiliate links. The three pens pictured in this review, from left, include the Faggionato Petrarque in Blue Tortoise, the Conway Stewart 100 in Honey Noire, and the Montblanc for UNICEF Solitaire Doue Classique. Top 5 or Top 4? Of course, when I need to photograph it, I realize that I left the Imperial Black Multipen sitting on my desk at work. Most people are not like me. Meaning, they don’t own dozens of writing instruments, whether fountain pens, ballpoints, rollerballs, or even a mechanical pencil. Yes, believe it or not, the majority of people out there - so-called “normal people” - would be perfectly happy with ONE nice writing instrument. Heck, even I’ve grown a little exhausted choosing which pen to use. I’ve spent a lot of time on the road for the day job during the first half of the year, and more often than not would find myself using the same pen for an entire day without switching things up at all, which is a rarity for me. All of this got me thinking - if I had to pick one pen, what would it be? Likewise, if I had to make a recommendation to someone who only wanted to own one nice pen, what would I tell them? Durable Construction. Can I throw this pen in a bag or pocket without worrying that it will shatter/crack/scratch? Unassuming Looks. Can I carry this pen into a business meeting without it being distracting to other people or getting a lot of "what the heck is that thing" questions? Versatility. Can the pen accept a wide variety of refills to account for all sorts of different paper types and writing conditions? Refill Availability. Are refills easy to get/inexpensive? Based on these criteria, I’ve narrowed it down to five options/recommendations. The Lamy 2K 4-Color Ballpoint is one of my all-time favorite writing instruments. Lamy 2000 4-Color Ballpoint. If I was forced to choose one pen to use for the rest of my life, it likely would be a Lamy 2000, and probably the 4-Color Ballpoint Multipen. In fact, I would probably choose a multipen as my “one pen” over a fountain pen, if you can believe it. The Lamy 2000’s unassuming looks, durable construction, reasonable price point, and general availability makes it my top choice. It also takes universal D1 refills, which can be found basically anywhere, including most big-box office supply stores, and come in a wide range of gel, ballpoint, hybrid-ballpoint, and even highlighter variants. Check out my full review here. The Sailor Imperial Black Multifunction Pen, pictured here alongside the Imperial Black Fountain Pen. Sailor Imperial Black Multipen. My second-favorite multi pen, which I use when I want a mechanical pencil option. I don’t like the aesthetics of this pen as much as the Lamy 2000 multi pen, and it’s a bit heavier, but the pencil unit adds versatility. It also takes universal D1 refills. Check out my full review here. Made from titanium from Bigidesign, the Ti Arto is a bit of an unsung hero among EDC pens. Ti Arto Ultimate Refill Friendly Pen. I haven’t yet published a stand-alone review of this particular pen, but if what you’re looking for is a single pen that will accept as many different refills as possible, the Ti Arto should be your choice. There’s also a “Ti Arto EDC,” which is a shorter, more compact pen that also accepts hundreds of compatible refills. I only have the full-size version, which is where my Uniball Signo DX refills live. The RIIND pen comes in three different finishes: aluminum, gray, and black. RIIND Pen. Another machined pen that accepts a wide variety of refills, though not as many as the Ti Arto. Unlike the Ti Arto, this pen is retractable and has a clip, so if you’re not looking to cap/uncap as part of your everyday carry, consider the RIIND. Both the big clip and the the “continuous cam” deployment mechanism are well made and highly functional. Check out my full review here. Pictured here: Baron Fig Squire in "Fig Wine" finish. While I don’t use them as much as the pens on this list, I’d also highly recommend the Retro 51 Tornado, the Karas Kustoms EDK, and the Fisher Space Pen “Shuttle Pen” or “Astronaut” Pen. The Tornado and the EDK have the same refill options as the Squire, only with a clip and slightly different ergonomics. The refill limitations are the same. The Fisher Space Pen is much slimmer, and uses a proprietary pressurized cartridge that people either love or hate, but the pen will literally write anywhere and under all sorts of adverse conditions. I hope you find this little resource helpful. I get a lot of questions about the best "one pen" setup, particularly where a reader is looking for a gift for someone who would appreciate a quality pen but wouldn't necessarily want to carry multiple options. Look for similar content in the future! The Baron Fig Squire and the Retro 51 Tornado are two of the most popular - if not the most popular - liquid ink rollerball pens on the market. Both are well-made products from smaller, "boutique" manufacturers. Both pens also regularly make their way onto recommendation lists, and are among a handful of pens that I recommend to those approaching me about a "nice non-fountain pen for work" or a gift for someone graduating or starting their first job. 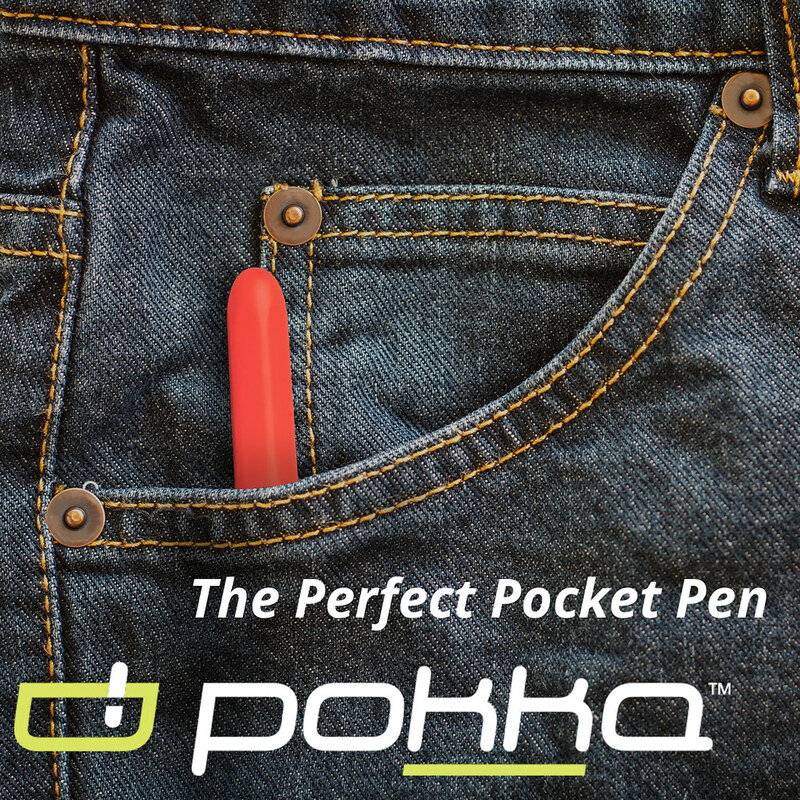 You can't go wrong with either pen: they are both excellent, but still different. In this post I'll highlight some of the pros and cons of each, and talk about which pen I personally prefer and why. The first pen from the left is the Retro 51 Tornado Joey Feldman Artist Series from Vanness Pens. The next two from left are the Bioworkz Artist Series set, also from Vanness, though both have long been out of stock. Check the secondary market if you're interested in either design. Availability. If you like the look of Retro 51 pens, a key advantage is that almost any specialized pen retailer sells them, and there are dozens of different colors, designs, and special editions to choose from, including store editions specific to a given location. If you have a local pen store, you likely will be able to walk in and pick up a Retro 51 quite easily. Refill. The Retro 51 also uses the excellent .7mm Schmidt P8127 ceramic capless rollerball refill, which is the gold standard in terms of availability and reliability. You can also swap in the Schmidt Easyflow 9000, another Parker-style gel refill, or the finer-tip Schmidt P8126 rollerball. Fun Designs. Many people partial to Retro 51 love the pens for their special and limited editions, as well as their outright crazy designs and themes. Designs range from the understated Tornado Classic to the more intricate Metalsmith series, or all the way to the new KISS-themed pens. The Retro 51 that I use the most, however, is this vintage-style desk pen that I reviewed a while back. Clip. If you prefer a pen with a clip, or clipless pens flat-out don't work for you, you'll want to go with the Retro 51 Tornado. The Baron Fig Squire only comes clipless. Price. The classic Retro 51 lacquer Tornado sells for as little as $25, and even the special edition rollerball pens rarely exceed $55 or so. 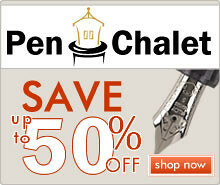 You can get a great pen at a reasonable price. Cons. I personally find the Retro 51 less comfortable to use due to the fact that the pen tapers towards the front, as opposed to the Baron Fig Squire, which has a thicker grip section and tapers towards the back. Also, because I have a tendency to rotate my ballpoints and rollerballs as I write, the clip on the Retro 51 sometimes digs into the webbing of my hand between my thumb and index finger. The clipless Squire doesn't have that issue. My Joey Feldman Retro 51 in hand. Note the "V" shape to the Retro 51, which differs from the Baron Fig Squire, pictured below. Ergonomics and Balance. What makes the Baron Fig Squire such a great pen to me is the shape. Though some may find the pen a bit boring and overly minimalist, the teardrop pen body sits perfectly in my hand, and the fact that the pen tapers towards the back makes it comfortable to write with for long periods of time. The matte aluminum finish of the standard editions makes for a nice grip. I don't mind the lack of a clip - I typically carry the Squire in a Baron Fig leather pen sleeve, tucked into a pen case or the inside of one of my notebook covers. Understated Special Editions. For their special and limited edition Squires, Baron Fig has thus far chosen to stick with solid colors and small, understated engravings, even for what could be considered their most "out there" editions, like the green "Experiment" and the orange "Mysterium". The "Precious Metal" Squires in brass and stainless steel (still available!) also turned out really well, and the pen's ergonomics counteract the added weight of the materials. Price. 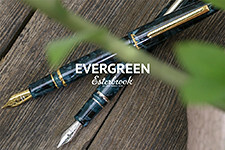 The Squire starts at a higher price point than the Tornado, with the basic pen priced at $55, standard special editions priced at $60, and the "Precious Metals" rollerballs priced at $85. That said, these pens still don't break the bank. Cons. There aren't many for me personally, and I've gone so far as to say that the Squire is pretty close to my perfect non-fountain pen. Some might be put off by the lack of a clip, and I understand how that could be a deal breaker depending on how you use your pens. Also, the Squire may roll off a slanted work surface, though given how the pen is weighted it tends to roll much less than many clipless pens. The Baron Fig Squire "Mysterium" edition in-hand. Note the subtle "teardrop" shape as the pen tapers toward the front. My good friend Thomas thought it would be helpful to have a side-by-side comparison, so I added a photo of the Mysterium edition Squire compared against the Joey Feldman Tornado. Many thanks for the recommendation! For my own daily writing needs, I use the Baron Fig Squire as my rollerball of choice. The teardrop shape and overall balance of the pen just works better for my hand, and I like that the default refill is the Schmidt P8126 .6mm. Finally, I simply like the look of the Squire better than the Tornado, as some of Retro 51's designs can be a bit busy for my taste. While Baron Fig has released a bunch of special and limited editions over the years, and recently introduced different color pens into their standard lineup, most of their pens are relatively understated and forego a lot of the somewhat crazy patterns for which Retro 51 is known (and loved by many). The Fig Wine Baron Fig Squire - my personal favorite of the standard edition Squires. In terms of where to buy these pens, as I mentioned above, the Retro 51 Tornado is a relatively easy pen to find at most pen retailers. Pen Chalet carries the entire range, including most of the annual special editions, and has even partnered with Retro 51 on their own "in-house" edition, a sci-fi take on the myth of Jason and the Argonauts which is well worth a look. 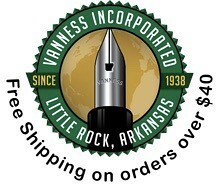 Vanness Pens also stocks Retro 51, and has partnered with the Company on a series of "Artists Series" pens, including the pens pictured in this review. The most recent "Artist Series" pens have sold out, but keep your eyes peeled as new ones are always right around the corner. 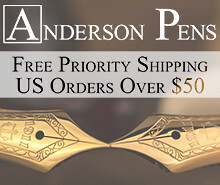 Finally, to give you an even better idea of some of the unique design partnerships out there, check out the Anderson Pens "Chicago" edition, as well as Mike Dudek's "The System" space-themed pen. 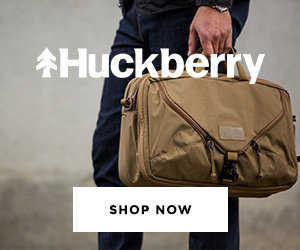 The Squire can be purchased directly from Baron Fig, via their website. Currently, the standard Squire is available in four colors: Fig Wine, Rose Quartz, Blue Slate, and Silver. At the time of this review, two limited editions are also available: the Stainless Steel "Precious Metals" and "Mysterium" orange. The latter two likely won't last forever, so if they interest you, pick them up now. Though I haven't used one, Baron Fig recently released a Squire "Click" ballpoint, which is a bit slimmer than the standard Squire and has garnered good reviews to date. Disclaimer: This post contains links to paid sponsors and affiliates. The pens pictured here are a combination of pens purchased with my own funds, pens for which I received a discount in exchange for a review, and pens sent to me for review purposes free of charge.